You are at:Home»Life»Family»Parenting»Does Keeping Baby Safe the Chinese Way Work with Two Children? A good Chinese grandma is one who can hold her grandchild any time, all the time. At least, that is the impression I get from my Chinese mother-in-law. Whenever I come back home from work and she has put my 7-month-old baby son down, either on the play mat or in his eating chair, she’ll apologize and will be fast to explain that she only just put him down a minute ago. I don’t mind her putting him down at all, and I’ve never complained about it, but being able to constantly hold a grandchild seems to be the go-to way here for making sure baby is safe and taken care of. The understanding of what safety means is very different in China from what I’m used to from Austria. In Austria, making sure baby is safe means having at least one place where you can put baby down safely in case of an emergency, in case you need to open the door for someone, go to the loo, take a shower, you get the gist. It also means baby proofing your home, especially once baby starts to crawl. Medicine and small objects are usually put away, stored in a cupboard high enough so baby won’t be able to reach them. 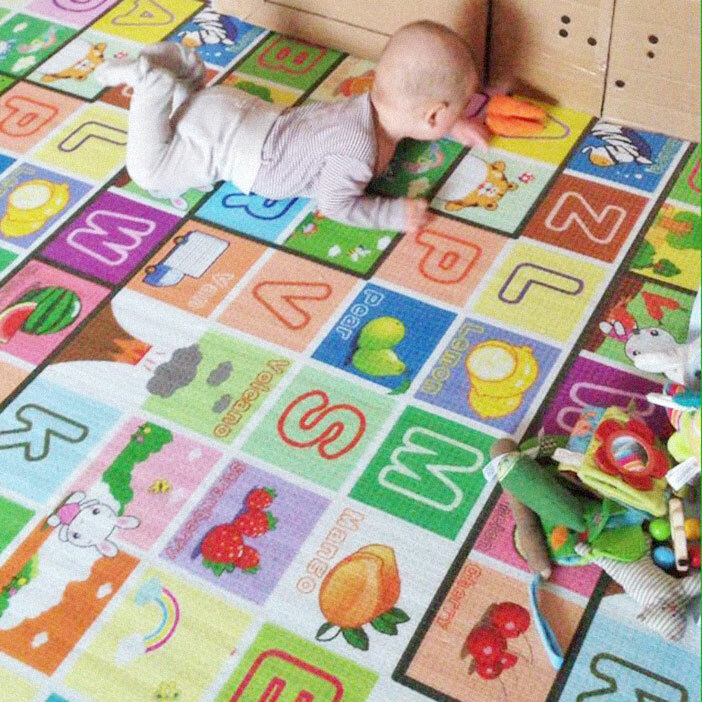 Any furniture that would topple over if baby would use it to pull himself up is moved to another room he can’t enter. Low cupboards are locked with children’s locks, and so on. Basically, the home is arranged in a way so you will not constantly need to worry about your baby if you are in another room for a minute. In China, baby-proofing your home doesn’t seem as much a thing as it is in Austria. With my first son, my in-laws laughed over our attempts to put dangerous stuff away and put a lock on lower cupboard doors. Why would you need to put things away if you watch your child closely all the time? There were lots of things I’d consider dangerous they didn’t put out of reach of a baby, and later a toddler. They also thought it was perfectly safe to have our son play on the bed, instead of the floor. The floor, after all, has cold qi. They were used to having a Kang, the heated bed aka common area everyone would sit on during colder times of the year, so putting baby on the bed was the natural thing to do. Their apartment is tiny, and to them, watching my son’s every step closely was what was needed to make sure he was safe, not putting stuff away. And safe he was. It might have caused a meltdown when he couldn’t play with that red pair of scissors he set his eyes on, but otherwise their method worked to keep him safe. It’s a common method in one-child China. If two grandparents are around to watch the child, one can actually do stuff while the other closely follows the child. My parents-in-law had a great routine when my son was at their place. My mother-in-law was the person mainly responsible for watching my son, while my father-in-law was responsible for cooking and cleaning. Once my firstborn turned from a baby into a toddler, he’d request his yeye tell him bedtime stories before his nap after lunch, and ask nainai to clean instead. Otherwise, their routine would stay the same on most days. Of course, now with two children, this way of making sure baby is safe doesn’t work as well anymore. One day when I came home from work, I found my baby son lying on a pile of paper my toddler son had just drawn on, surrounded by Duplo bricks in green, yellow, orange, red, violet and blue and markers with caps just small enough they could be a hazard if he put them into his mouth. While I entered the flat, my mother-in-law sprinted out of the kitchen, where she was heating up my toddler son’s lunch, to put away the paper. I usually allow my baby son to play with Duplo bricks – they are big enough and he can’t swallow them. I know it can get messy and chaotic with two kids at home, one a toddler, the other a baby. But because the understanding of how to keep a baby safe in China is so different from Austria, and because the method of holding baby to make sure he’s safe doesn’t work as well if you also need to take care of a toddler, I will lock away any small objects from now on – just to make sure my children are safe the Austrian way as well as the Chinese way. Ruth Silbermayr-Song is an Austrian illustrator, German teacher and mother of two. She writes about life in China as a foreign woman, her cross-cultural marriage to a Chinese man, and child rearing bridging cultures and languages on her blog China Elevator Stories. Her story of pregnancy and parenting in China has appeared in the anthology “Knocked Up Abroad Again”. I found this so insightful! We had left our son with my inlaws for a month or two at s time and I just couldn’t understand why they were so tired when they were two (and often three with s relative or ayi to help) while my mom could care for him on her own. I also had a lot of doubts about the things they left around the house as when’s i went to pick him up he was playing with empty pill bottles (because he kept taking them out of the cupboard) and pushing a stool around. When they came to visit, I was depressed about all the negative comments they had on my way of watching him (he played in his play corner while I worked in my corner). Now I feel I understand them a lot better 🙂 Thank you for sharing! Thanks for your comment, Jessica! I haven’t mentioned this, but my mother-in-law actually watches closely how I keep baby safe and we’ve already come a far way in terms of safety compared to a few years ago. I still do feel more at ease if both my in-laws watch both children instead of only one of my in-laws watching both (my toddler son is at kindergarten during the day, so they don’t usually have to watch both children at the same time). If it works, then that’s great. Personally, I want my baby to also be able to crawl and train his neck/back/arm muscles, but he still gets to train them when he’s with me, so no need to worry about all the carrying grandma does. Most babies are quite content being carried, no harm done if different people do things differently.